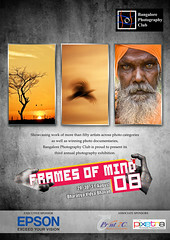 Hope to see you at Bharatiya Vidya Bhavan for ‘Frames of Mind 2008′ - Bangalore Photography Club’s third annual photography exhibition from 29th to 31st August from 10am to 7pm. 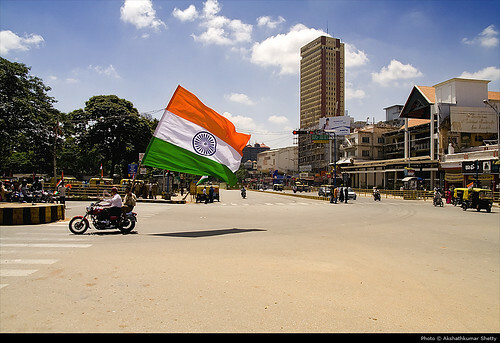 The exhibition will be inaugurated by Mr. Yusuf Arakkal , inaugural ceremony is at 12 pm on 29th August 2008. 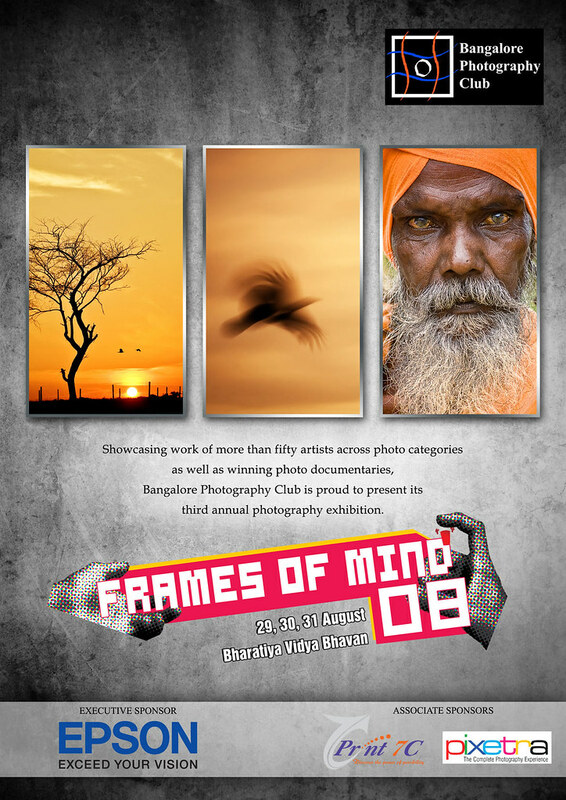 Looking forward to meet you all at the Exhibition.